"New Zealand is such an amazing place. GODZone gives me the opportunity to see incredible places off the beaten tracking and do things I wouldn't thinking of doing, stuff adventure companies will never offer and see first hand how strong the human spirit can be." The Raid Gauloises or The Raid is considered by many to be the first modern adventure race and was first held in 1989. Its creator, Gerald Fusil, took the existing concept of long distance endurance races, and focused on the team aspects, requiring each competitor to be part of a five person co-ed team. It is no surprise that he chose New Zealand for this genre defining event as he realised it had all the aspects required for an adventure of this kind. This was followed by the home grown Southern Traverse which endured for a staggering 15 years, laying the foundation for Kiwis to emerge as perhaps the most dominant nation of adventure racers as the sport grew. The Traverse was always a demanding event, with many still telling tales of blizzards and hardships that might make the modern expedition racer wince. By 2001, Eco Challenge had arrived in a big way. Mark Burnett decided to create a similar race to The Raid in North America. When the race went international, Burnett purchased the rights from Fusil and set out to make the Eco-Challenge the world’s premier adventure race. 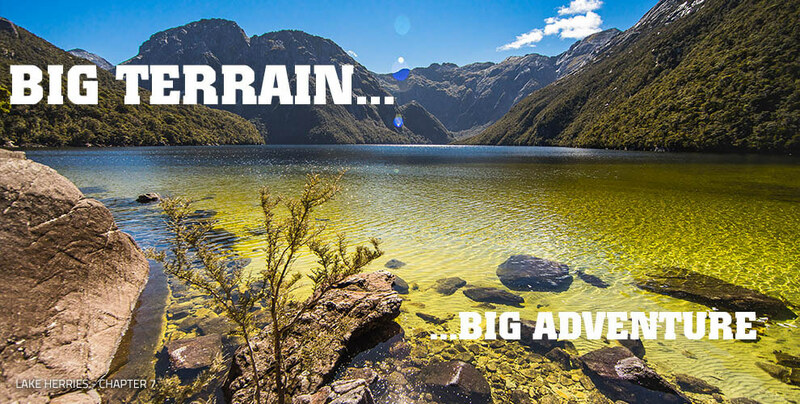 In 2001, nearly 280 competitors turned out for an epic adventure across the Southern Alps. No other country has hosted such a strong legacy of expedition races. GODZone hopes to emulate the successes of these events and once again give inspirational people the chance to see why racing in the South Island is so special. But it’s not just about the location. The culture of racing goes deep here and Kiwi’s have long dominated the world stage when it comes to expedition racing. They have won just about every international event, usually many times over and even when a home grown team is not in the mix, you can pretty much guarantee that Kiwis will be performing mercenary style roles for international teams at the head of the field. The talent pool is large and there just seems to be a toughness about Kiwis that helps them deal with the mental and physical difficulties that multiple days of racing throw up. With that in mind, you can imagine that winning or doing well in an event in New Zealand is pretty hard. However, if you want to test yourselves against the best, you want to experience the magic of the South Island and you want to be part of this rich history of racing, then come and see what all the fuss is about. Eco-Challenge was created in 1992 by Mark Burnett. Inspired by a Los Angeles Times article about Gerald Fusil's Raid Gauloises adventure race in Costa Rica, Burnett formed a team and competed in two Raid Gauloises events. Although his teams did poorly, Burnett decided to create a similar race in North America. When the race went international, Burnett purchased the rights from Fusil and set out to make the Eco-Challenge the world's premier adventure race. The Southern Traverse ran for a staggering 15 years, laying the foundation for Kiwis to emerge as perhaps the most dominant nation of adventure racers as the sport grew. The Traverse was always a demanding event, with many still telling tales of blizzards and hardships that might make the modern expedition racer wince. The Raid Gauloises is considered by many to be the first modern adventure race and was first held in 1989. Its creator, Gérard Fusil, took the existing concept of long distance endurance races, and focused on the team aspects, requiring each competitor to be part of a five-person co-ed team. The Raid had no set course, with competitors being required to rely on their wits and judgment to reach the specified checkpoints.